Crime has increased throughout the San Fernando Valley. We need to work together to be more aware of what’s happening in our neighborhoods. The LBNC Health & Public Safety Committee will host a community-wide Neighborhood Watch meeting on Sat., 8/19 .at 10 a.m. If you are concerned about the safety and security of your neighborhood and are interested in making a difference, we invite you to attend. We will discuss and show you how to form a Neighborhood Watch Program and how it benefits you and your neighborhood. We’ll show you how to get organized, positions, roles and responsibilities; how to request a NW Kickoff meeting; how to keep your NW group active and much more. We will also provide Free “THE CLUB” Anti-Theft wheel lock devices (while supplies lasts) and you can also sign-up for Free NEIGHBORHOOD WATCH Street Signs. Come and meet local officials and LAPD Senior Lead Officers. 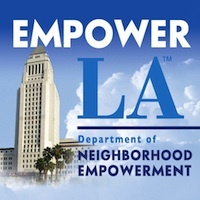 For questions contact: James Brown, Health/Public Safety Chair at 818-517-6732 or jamesb@lakebalboanc.org.